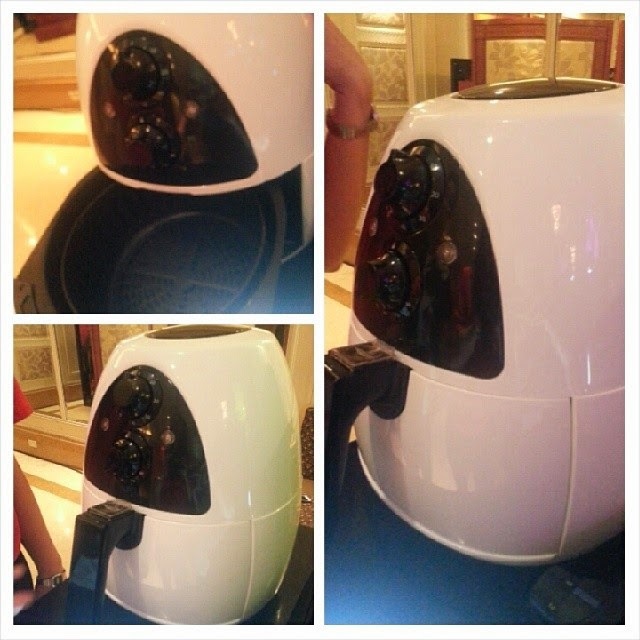 Imagine no more because we can now fry without oil with Russell Hobbs Purify and other amazing small kitchen appliances here in the Philippines. 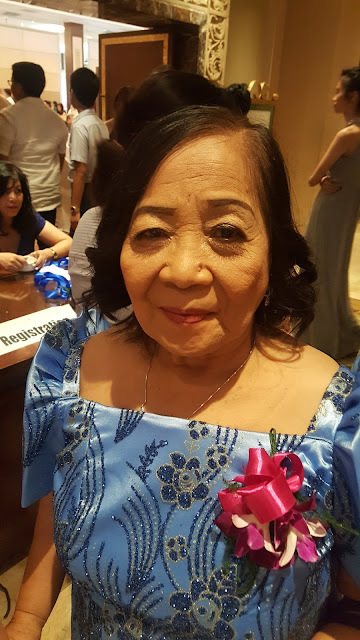 United Kingdom's well known brand for kitchen appliances Russell Hobbs was introduced to the media last Tuesday at Makati Shangrila Hotel. Founded in Great Britain in 1952 by Bill Russell and Peter Hobbs, the brand who created the kettle with automatic keep warm feature grew recognition for its world-class innovations. 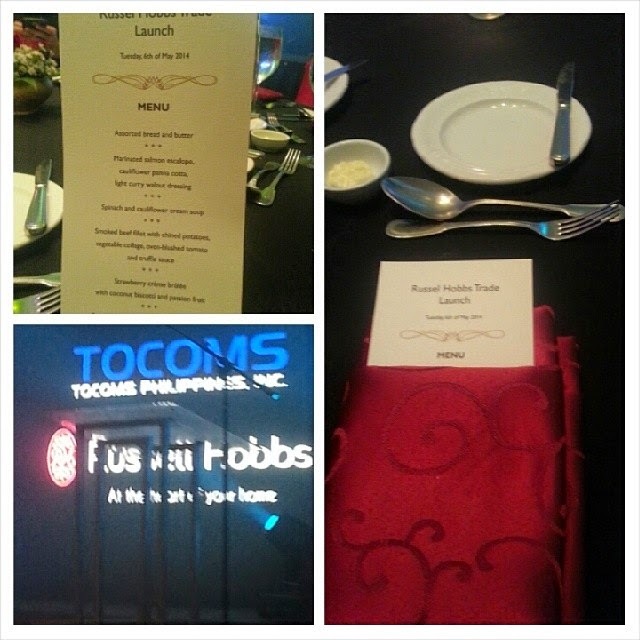 Tocoms Philippines, the exclusive distributor of Russell Hobbs shared excitement with the rest of appliance dealers and other leading giants of the kitchen appliance industry that night in an event of music and luxury. Violin performances and a musical play showing how an ordinary housewife can become an entrepreneur with the latest technology in kitchen appliances in Russell Hobbs introduced the brand, its quality and class. Russell Hobbs features its distinct lines of Kitchen Collection: Desire, Allure and Illumina. 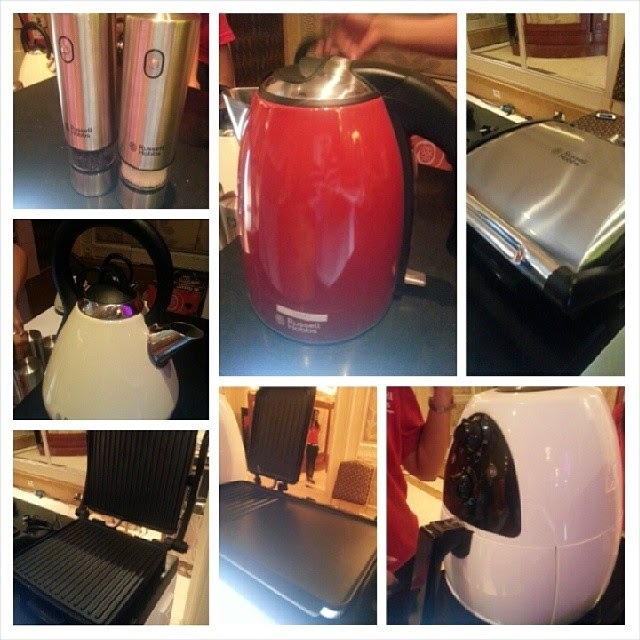 From introducing the world to the first coffee pot with automatic keep-warm feature and the automatic electric kettle that revolutionized the kettle market, Russell Hobbs' Desire Collection showcases same high-quality functionality with a more striking appeal with its matte black finish and strokes of vibrant reds in their kitchen appliances. The Allure collection has embossed brand on its Hand Mixers, Mini-Ball Chopper, Blenders, Citrus Juicer, Hand Blender, Coffee Maker and Salt and Pepper Mills. the Illumina Collection boasts of a unique color control light ring changing colors to represent speed with clear guidance on settings convenient for its user. I'm loving their Purifry and Electric Grills along with their Panini Grill because of its less consumption on electricity and design. Perfect for the yuppies and families always on-the-go, Russell Hobbs kitchen appliances will make its user boast of its quality and design. It's a brand to flaunt with friends and definitely durable using only high quality materials that made it last since 1952. Who would not want to own one of Russell Hobbs classy and elegant Salt and Pepper Mill? It's every kitchen's convenience and decor sure to lure you to cook and enjoy cooking at home. Russell Hobbs exquisite line of small kitchen appliances is now available at all leading appliance and department stores nationwide. 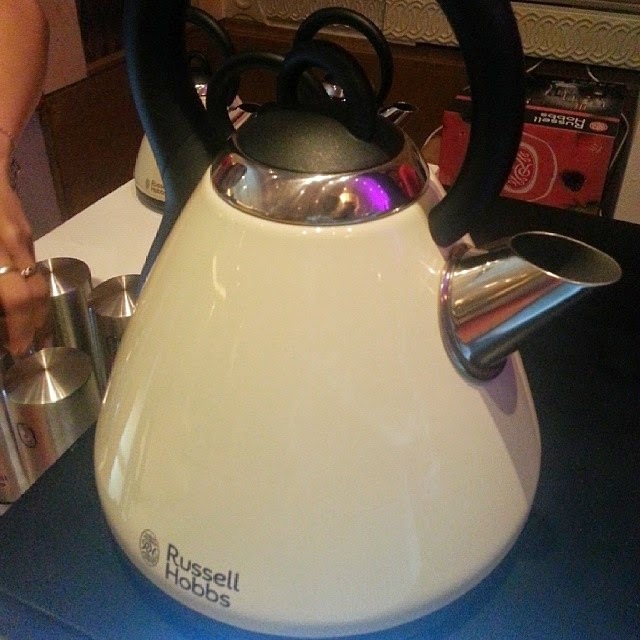 For more details, please visit http://www.russell-hobbs.com/ and follow https://www.facebook.com/russellhobbsph on Facebook for more updates.